Over the next few years it is guaranteed that we will see more self-driving cars hitting the road, and therefore sophisticated communications systems will rely on a fast, reliable network that’s capable of being a data superhighway. Self-driving or autonomous cars are a hot topic, but the road to autonomous driving is curvy and complicated. It’s full of blind turns as engineers, automakers, regulators and data scientists map out a radically different future for automobiles. The future is on its way, and at CES this week the BMW Group, Intel and Mobileye said a fleet of about 40 of their autonomous test vehicles will be on roads by the second half of 2017. And those test vehicles will help each other learn. Often when thinking about a self-driving car, it’s easy to consider it a singular thing — like the occasional driverless Google research car on the highway. It’s a cool car out there, but it has seemingly nothing to do with the driving experience of anyone else on the road. But as more autonomous cars come on the scene, that notion of singularity will change. Autonomous cars cannot exist in vacuum, the more cars on the road, the more developed, safe and sophisticated the autonomous infrastructure will become. 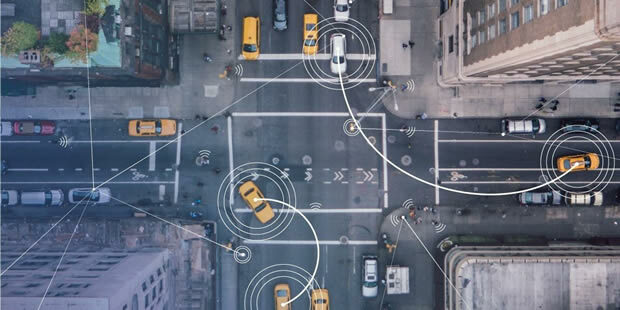 While each car is an individual vehicle, it will actually become part of a complex ecosystem where communication, how cars talk to other cars, to road-side infrastructure, the network and finally data centres is essential. Unlocking the true potential of automated driving requires a reliable, robust and pervasive wireless network. Hattendorf said these requirements are the basis of 5G networks, which are expected to become available starting in 2020, but trails are already underway. 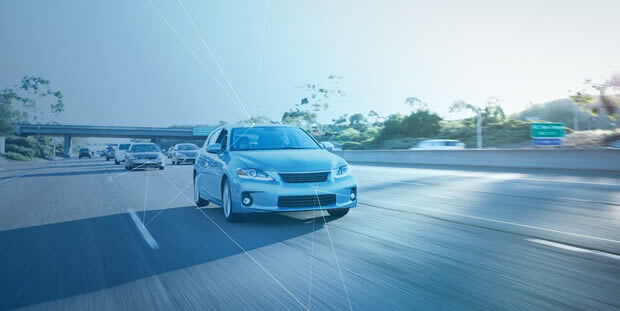 Intel’s GO In-Vehicle Development Platforms for Automated Driving, the first 5G-ready platform for the auto industry, is designed for automakers eager to develop and test a wide range of use cases and applications ahead of 2020. Simply put, 5G is the next ‘G’ or ‘Generation’ of wireless networks. It will let more data move at higher speeds with lower latency and ultra-reliability, and it will be essential in supporting the billions of connected devices, everything from smart buildings to internet-connected wineries. Autonomous cars, said Hattendorf, will crunch through terabytes of data per car, every day. They rely on a slew of sensors, cameras, lidar and radar, that identify information about the environment around the vehicle. Cameras might see a person, for example, but radar can sense depth, recognising the difference between a real human and, say, a cardboard cut-out of a person. The whole system must work in tandem, and each piece requires a significant amount of compute power and data synthesisation. The accumulated collected data enables them to absorb and learn from aggregated experiences and environments. “All this data is then collected and sent to the data centre,” said Hattendorf. The data centre intakes all the data and, using deep learning and machine learning protocols and tools, creates the instruction set that is then communicated to the vehicles, teaching them what’s what in the world around them and what should be done, how the cars should react. Cars start to recognise and differentiate moving objects, a human, a dog, a ball rolling in the street, because they’ve learned from aggregate experiences. That learning also helps cars understand when an anomaly occurs. If, say, a giraffe starts walking across the street, the car can recognise the anomaly, send the information back to the data centre, which can then create a new set of rules. There are many data-hungry steps along the way. The car requires an in-vehicle compute platform that can respond in real time with an in-vehicle Human-Machine Interface (HMI). It needs a way to connect to other vehicles, to communicate ‘hey, I’ve learned this, you should learn it too’ as well as sending information to the cloud, or data centre, where the information can help cars understand everything from upcoming stoplight and recent collision to running dog and galloping giraffe. How do we avoid the dog? So much data bouncing around will require a sophisticated communications network that can handle it all. That’s where 5G comes in. Prakash Kartha, responsible for Strategic Marketing for Connected Cars, said 5G is like the data superhighway for autonomous cars. Current LTE networks, he said, are incapable of handling the job. It’s a hard thing to think about so much data traveling at massive speeds, so Kartha broke it down. Smaller amounts of data can fit through the long pipe, but it’ll take longer to travel. He said if more data is travelling at a much higher frequency via a wider, shorter pipe, more stuff gets through the pipe, but the range will be shorter. For the car navigating the streets, real-time data (captured via sensors) will dictate operations through the in-vehicle compute platform. But for long-term learning, cars will upload and download information intermittently in opportunistic bursts and data showers, while at a gas station, parking lot, intersections or at home. That’s when a car will be able to upload huge amounts of data. Many cars out there in the world are already collecting data over LTE, think Ubers, Google cars, or BMWs. This is where 5G comes in and it doesn’t stop there. What happens in the Cloud? Intel CEO Brian Krzanich recently said each autonomous car is expected to generate up 4,000GB of data per day, every day, that’s the data equivalent of almost 3,000 people. Add to that the estimated 50 billion other ‘things’ expected to be wirelessly connected by 2020; the ‘cloud’ is going to be overloaded, right? Hattendorf disagreed, quick to point out there’s no single world cloud — but instead data centres will come in different shapes and sizes. Other companies might have data centres distributed geographically while others, he said, might tap into capabilities provided by a third-party data centre. Regardless, these data centres will need the 5G network to move data, analyse it, create algorithms and send those learning’s back to the car. While widespread adoption of self-driving cars is a ways out, construction of the data superhighway is well underway. Will self driving vehicles be AR's first big platform?